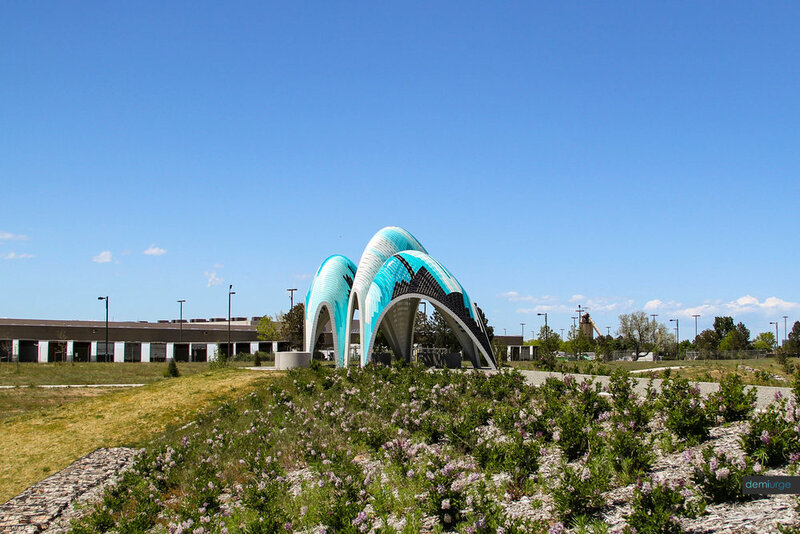 "The Phantom Pavilion is located at the Praerie Basin Park in Stapelton, CO. It is conceived as a light-weight structure and assembled with two cross laminated layers of aluminum acting as a structural shell. The pavilion offers both shading and seating elements to visitors. It is a colourful addition to the Praerie Basin Park. 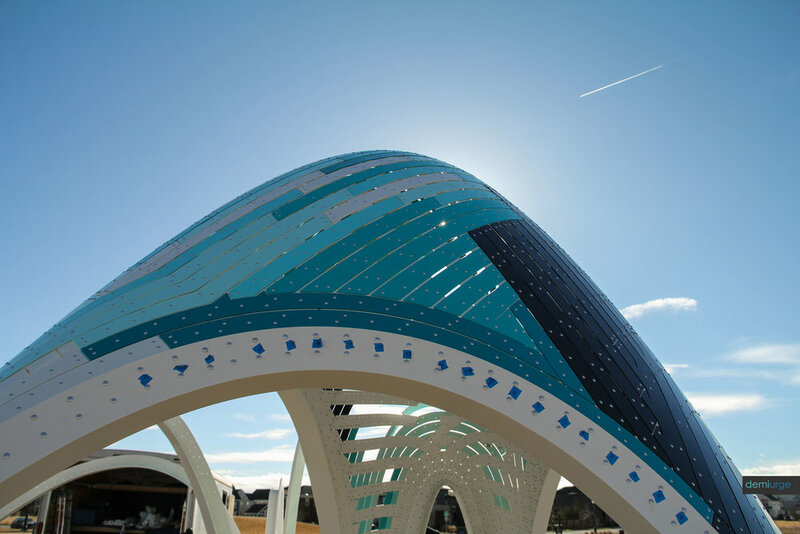 The canopy of the pavilion features an array of multiple colors while introducing a playful color gradient from left to right and top to bottom. The skin of the pavilion also features a complex pattern of openings which produces playful shadows on the ground and ambiguous visual effects during the day and change of seasons. The symmetrical pavilion consist of three iconic vaults and stands16 feet tall at its highest point.